If the thought of leading a virtual team makes you sweat, you aren’t alone. It’s new terrain for many, but it also carries some common misconceptions. Once you get past these, you’ll see it’s not that unfamiliar at all. 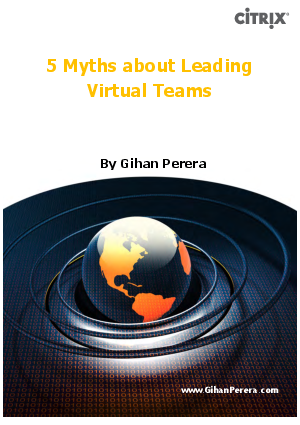 This brief explores 5 widely believed myths about leading virtual teams and what you can do to overcome them.